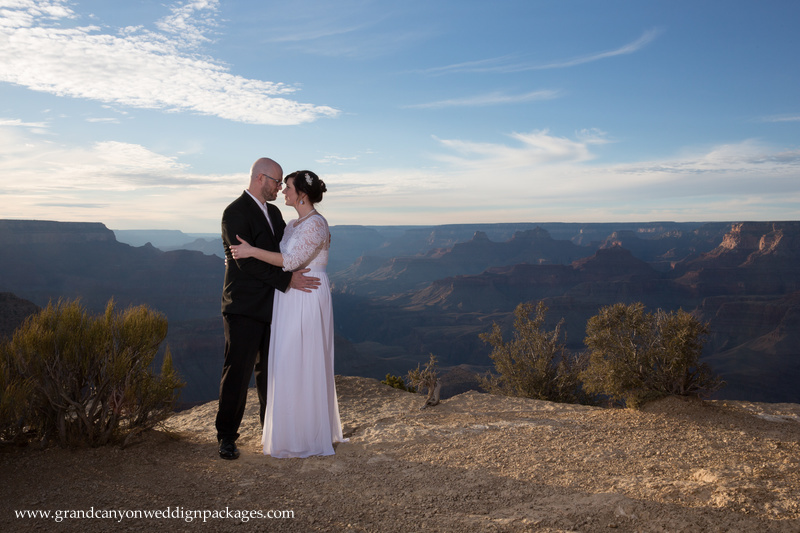 Congratulations Sarah and Nick for eloping at the Grand Canyon! 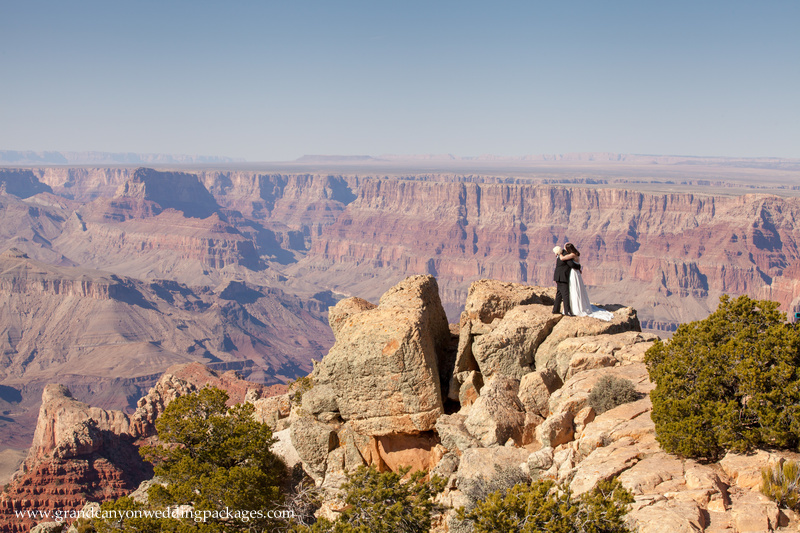 They decided to have their wedding ceremony at Moran Point. It was gorgeous! 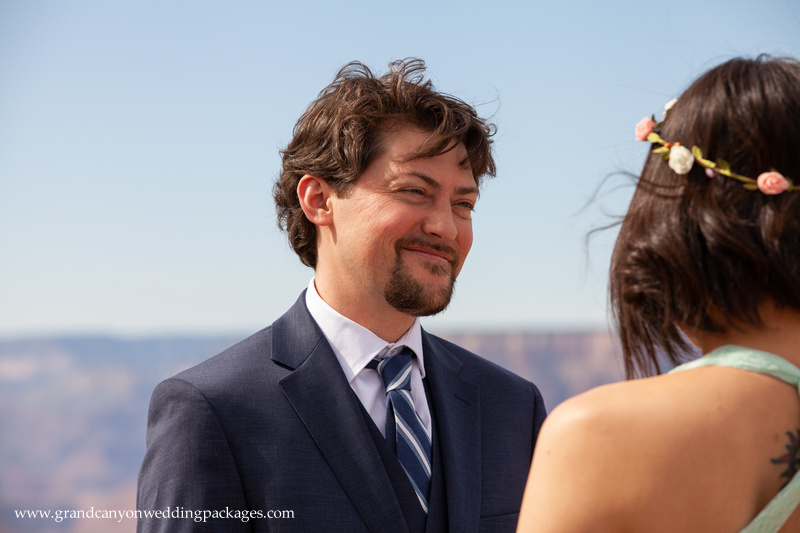 Sarah looked wonderful in her wedding dress and we loved the pop of color and her flower crown! 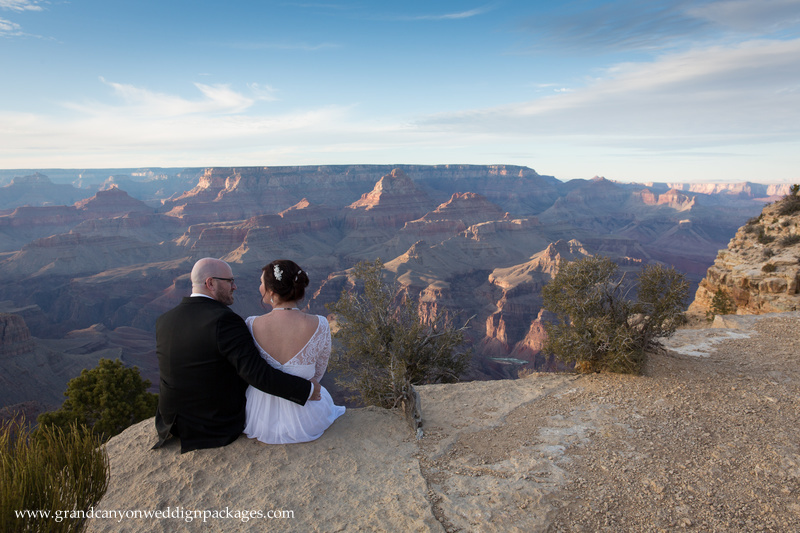 Sarah and Nick came all the way from Canada to experience the Grand Canyon together. 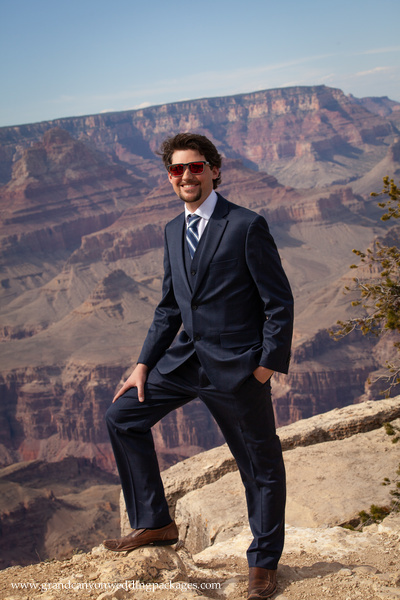 Sarah had been to the Grand Canyon before but Nick never had. Don’t they make an adorable couple? 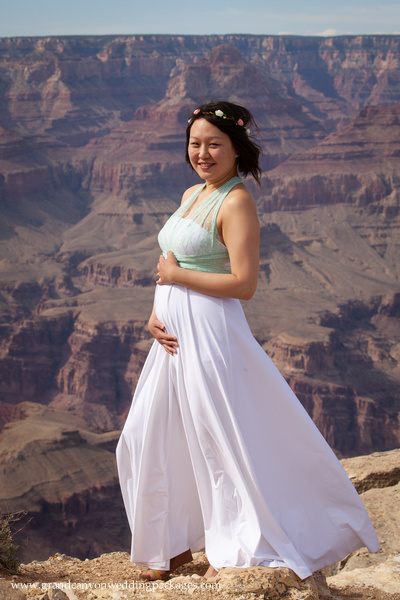 They deserve another congratulations because they are expecting a little baby! Here are some of our favorite photos from the day! 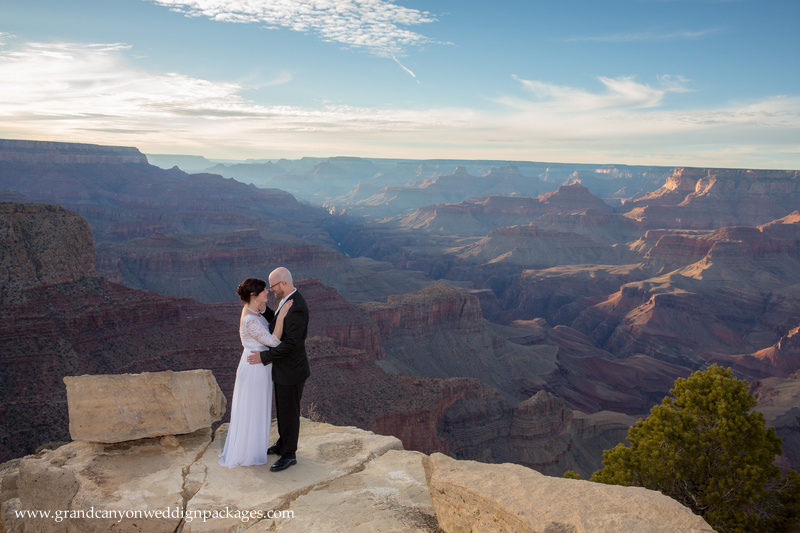 A big congratulations to Michelle and Gary on their Grand Canyon elopement at Lipan Point! I think we can all agree that Michelle looked gorgeous in her wedding dress! 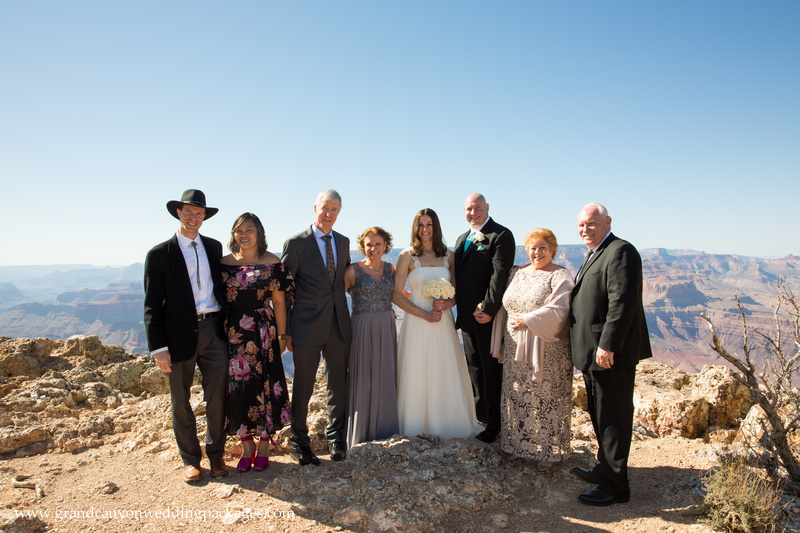 Michelle and Gary were lucky enough to have their family by their side on this special day. 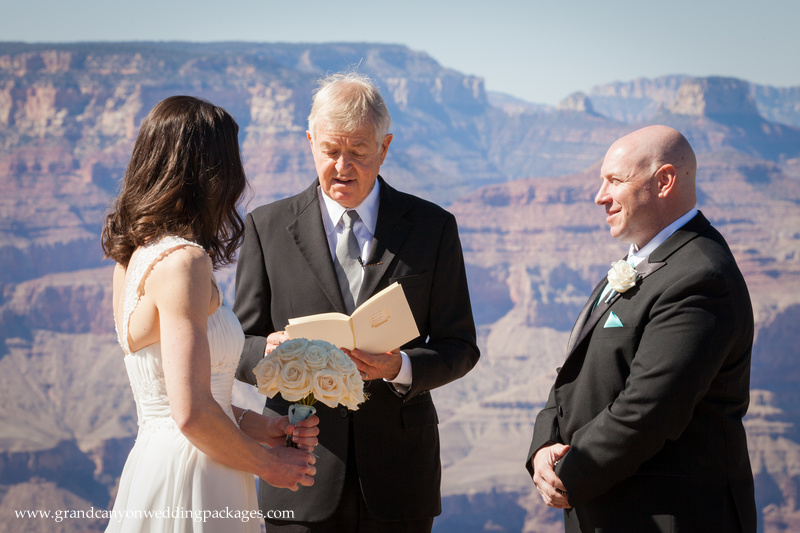 Everyone was so excited about the elopement! It was great to see so many smiling faces. Michelle and Gary are both huge gym nuts! 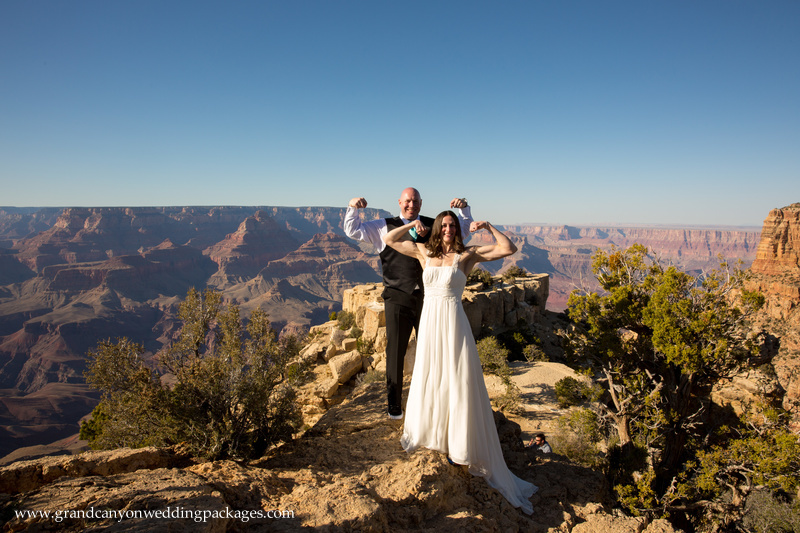 They have nicknames at the gym they work at of “Wonder Woman” and “The Hulk” so they made sure to incorporate this into their wedding! 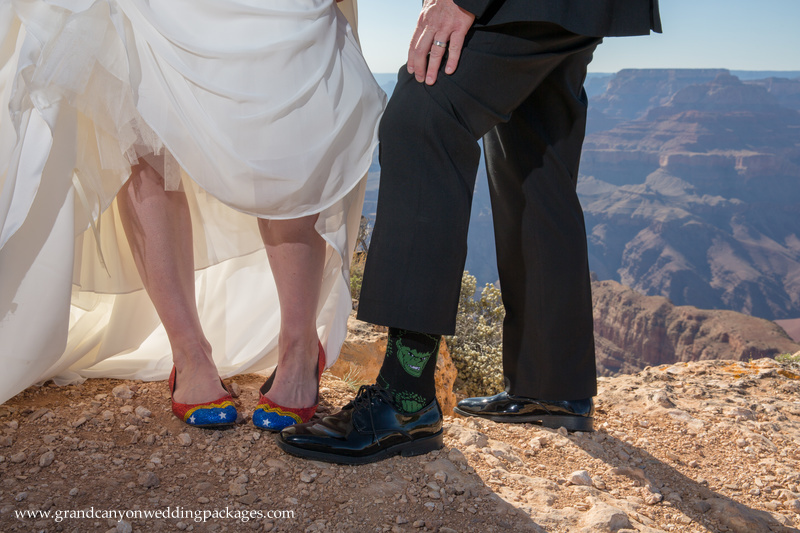 Check out Michelle’s shoes and Gary’s socks! They also had cake toppers of Wonder Woman and The Hulk. What a cute idea! 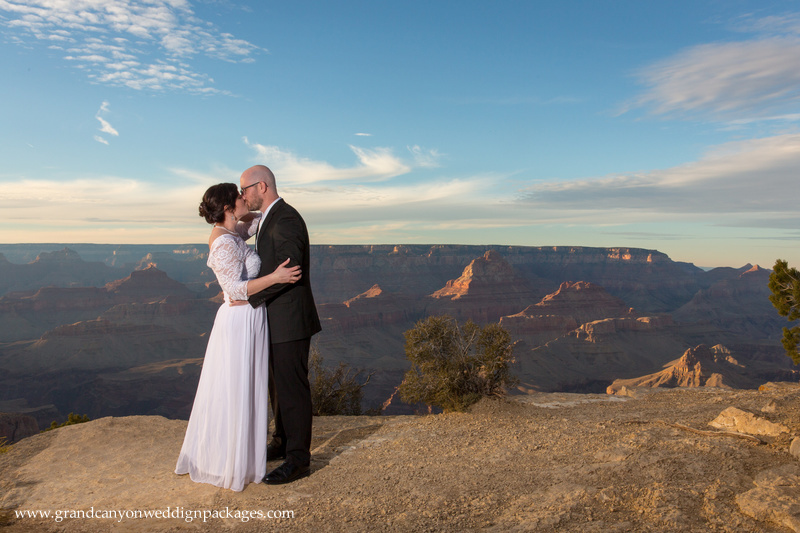 They decided to book an extra hour of photography so they could get photos at both Lipan Point and Moran Point. 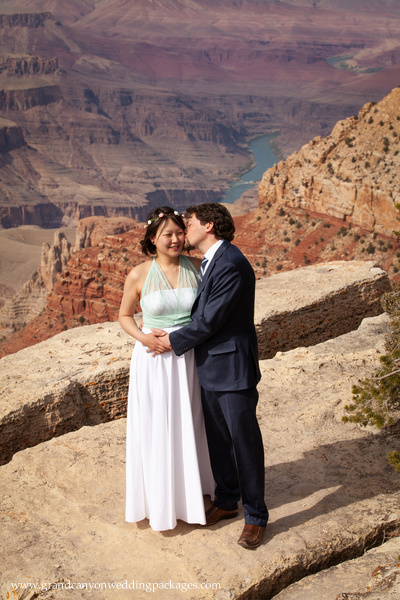 Here are some of our favorite photos from their big day! 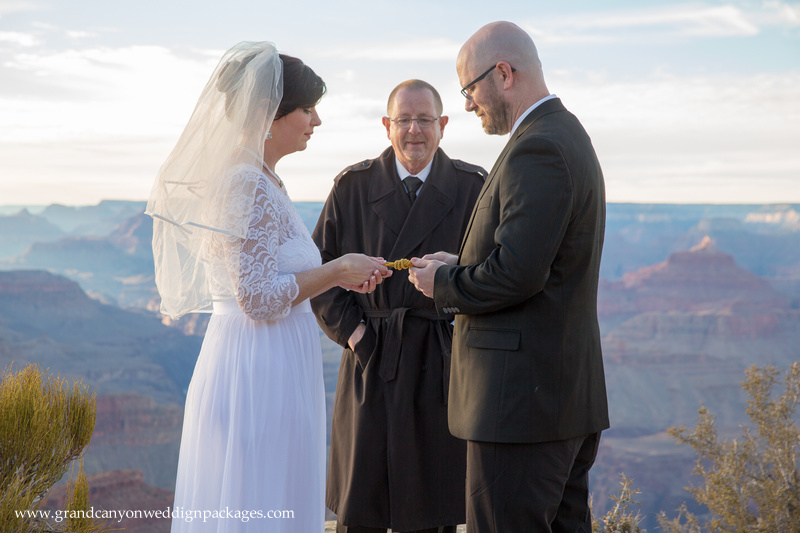 Whitney and James recently eloped at the Grand Canyon. Let us wish them a congratulations! Whitney looked stunning in her white wedding dress and pearls. 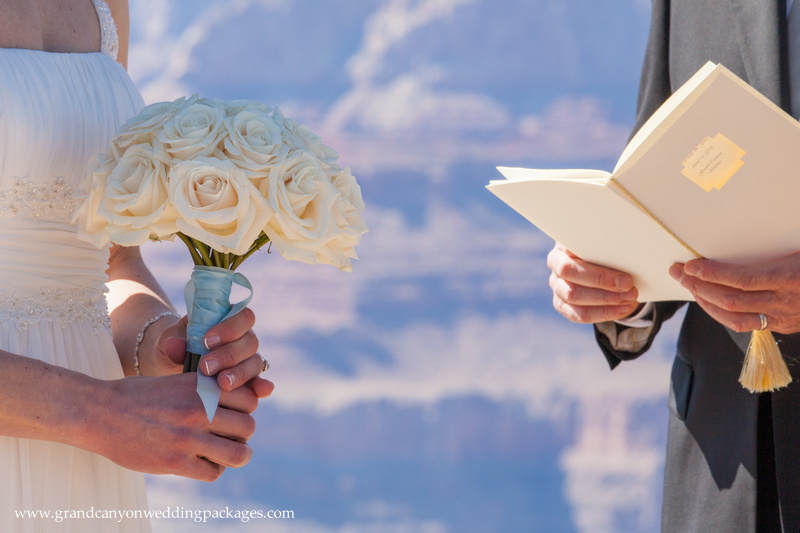 Whitney wasn’t sure if she should wear her veil but she definitely made the right decision. 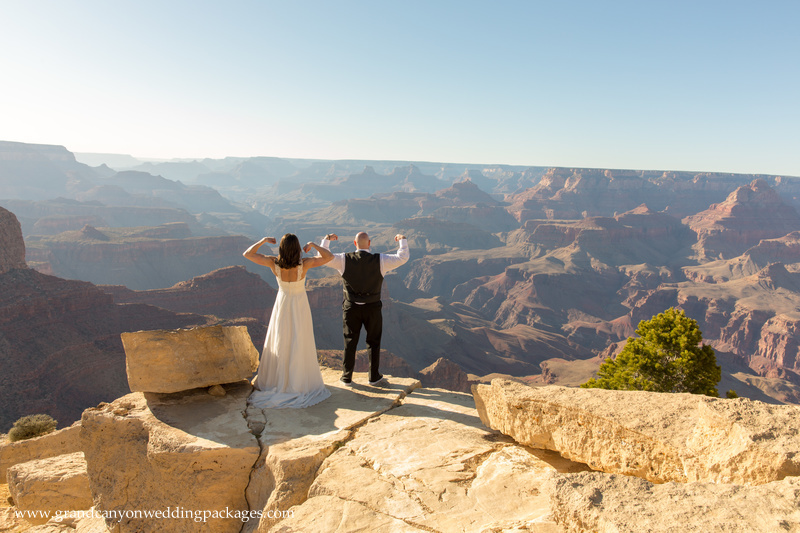 Just before the ceremony started, another bride who had just been married at the Grand Canyon as well, waved and wished them luck. Such an amazing memory! Whitney and James have been together for 2 years and are gearing up to move from Kentucky to Colorado. They have lived in Kentucky for most of their lives, what an adventure that will be! We wish them the best of luck. Here are some of our favorite photos!